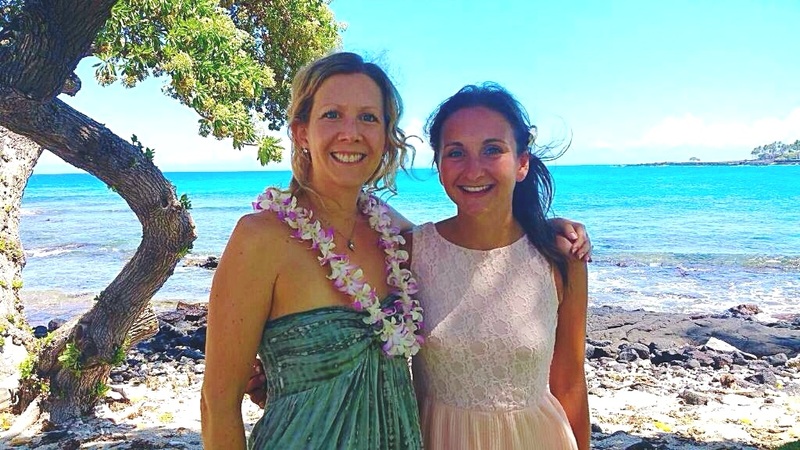 Exactly one year ago, I met Becky Ringler from Simple Kona Beach Weddings. 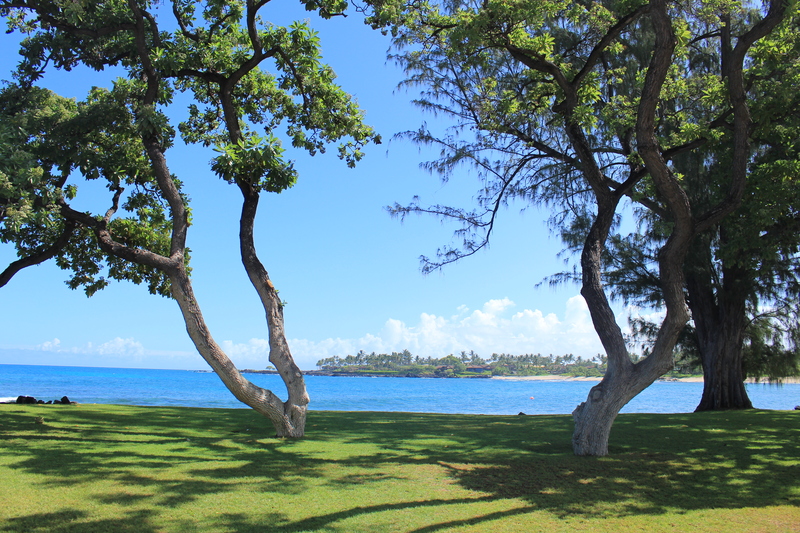 I spent 4 weeks on the beautiful islands of Hawaii and contacted wedding planners to meet up with them. This is something I always do when I spend my vacation in different countries: I meet wedding planners. I meet them to share our experiences, to get to know how their weddings look like in their countries, to gather inspiration and just have a good time with a person who shares the same passion about the same job as I do. Becky, tell me how did you decide to become a wedding planner? Originally I am from NY. 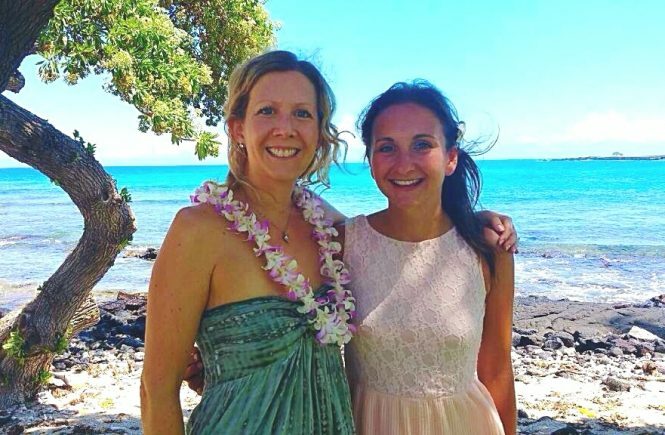 I lived in Japan, NYC, and California before my husband and I moved to Hawaii in 2013. I have tried out a variety of professions during that time. My degree is in communications, my major was acting/theatre. I was always passionate about love and relationships, and a friend of mine suggested that I should really do weddings; that I’d be really good at it. I thought, “Why not? 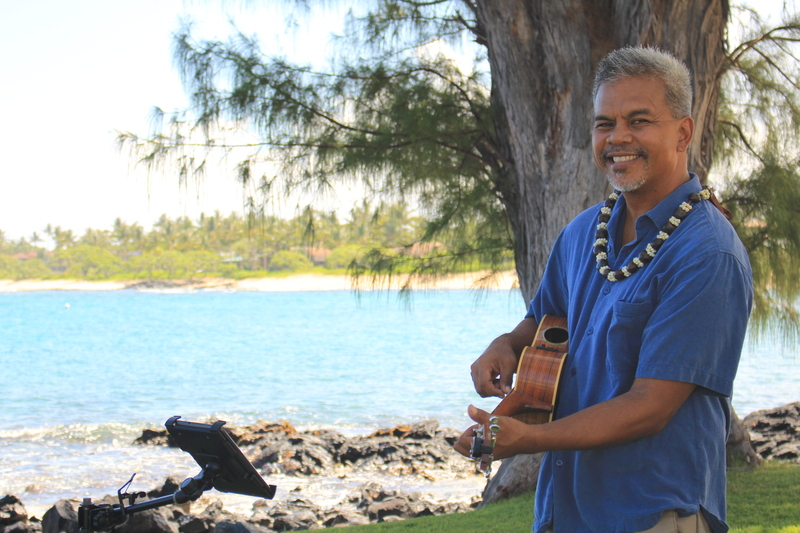 That sounds like fun!” So I got ordained online and got my Hawaii officiant’s license, and put up a website, thinking I would do weddings as a kind of side business to my dating and relationship coaching practice at first. But then it just kind of snowballed and my business took off, and now it has become my main focus. I just LOVE it! 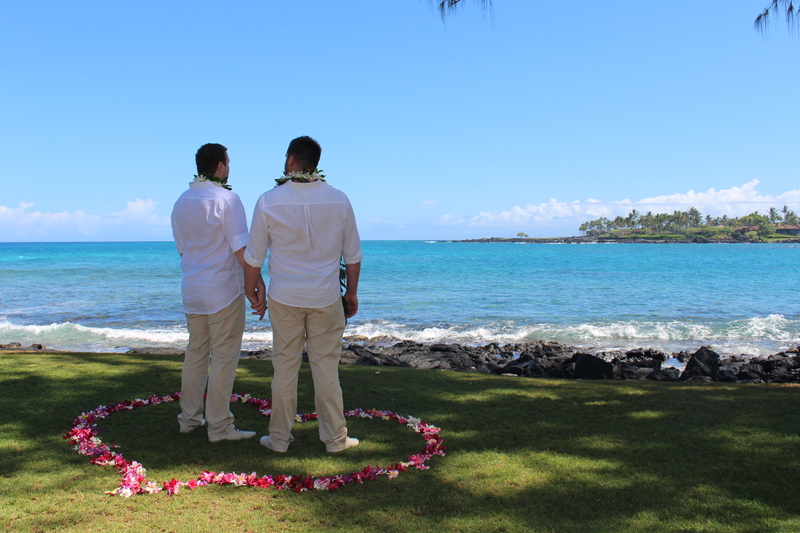 Weddings in Hawaii are different from the ones I have experienced so far. Couples come here to elope or they celebrate with a small group of guests. It is more intimate. How would you describe your target group? Most of my clients come from abroad and are of every age – mid-twenties to 70s. Some couples have been together for a very long time and had not thought of marriage before. Then a Hawaii trip comes up and they like the island and are inspired by the moment, and they spontaneously decide to get married. It’s really fun. You can always call me and ask if I am available. 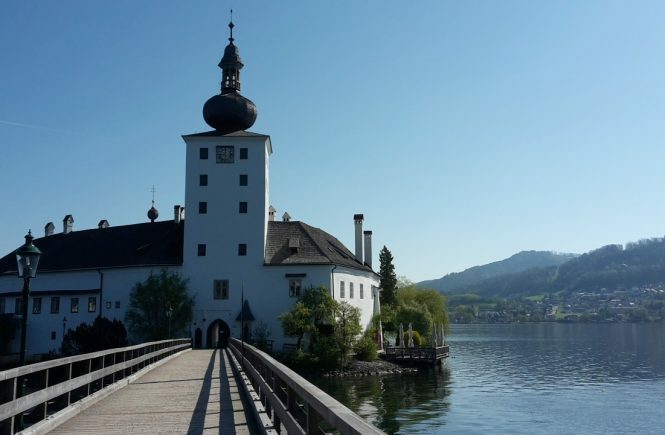 If you have a certain date in mind – especially in June and July –, then you should book ahead. I usually don’t have more than one wedding on one day because I prefer focusing on the couple on that day. They really get me for the day. 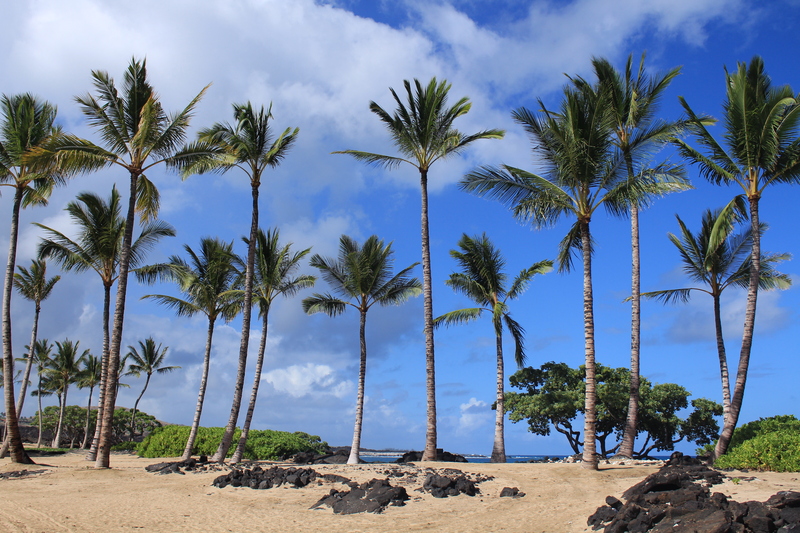 Can couples get married on any beach in Hawaii? For most beaches you have to have a permit to conduct the ceremony. It is not too complicated to get one. I organize it for my couples. Some spots you have to book in advance, but most beaches you can access freely. How does the organization of a wedding with you look like? The initial contact is usually made via e-mail. For me, it is important to get to know the couple which is why I suggest a “meeting” on Skype or the phone. During the conversation I get to know the couple, their story and what their relationship is about. Sometimes they have a lot of stories to tell. Sometimes not. I talk to both, the bride and the groom, to get to know their expectations from their wedding day and to incorporate those elements in the ceremony. I cannot imagine not knowing anything about the couple. It’s so important to me. My ceremonies are all individual. I prepare different readings every time and adjust them to the couple. 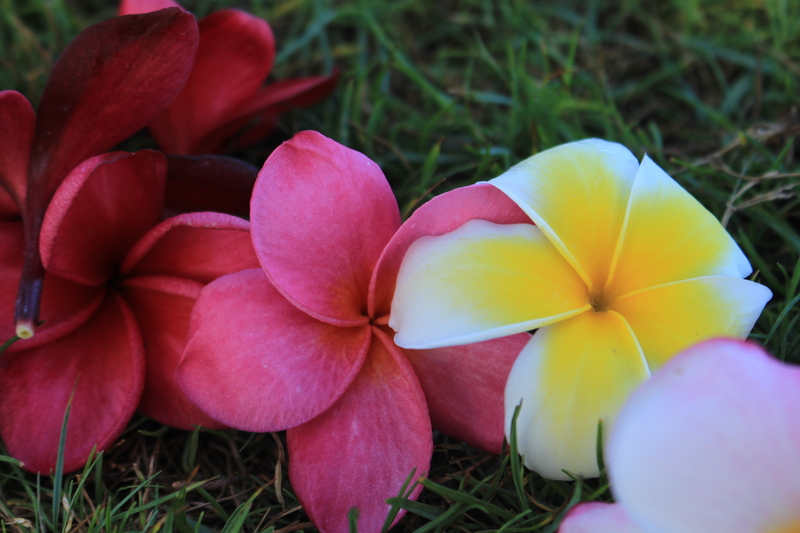 Is there a special wedding tradition in Hawaii? 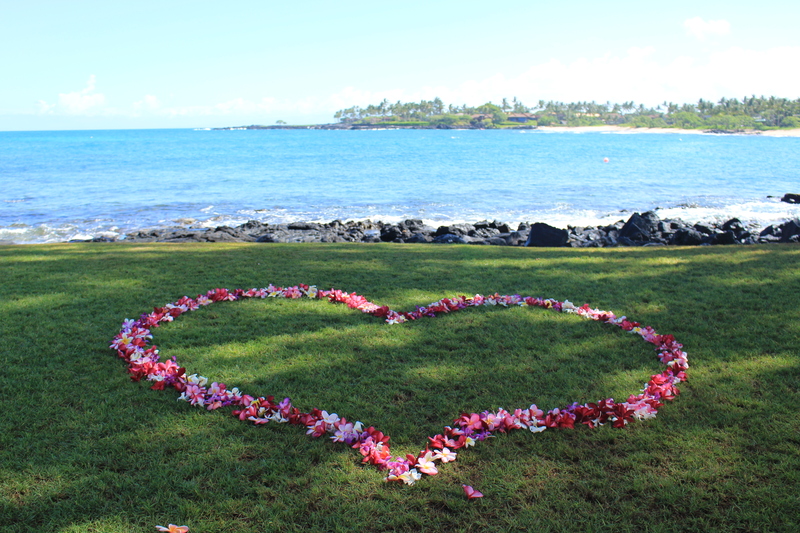 Yes, in Hawaii bride and groom exchange the lei. 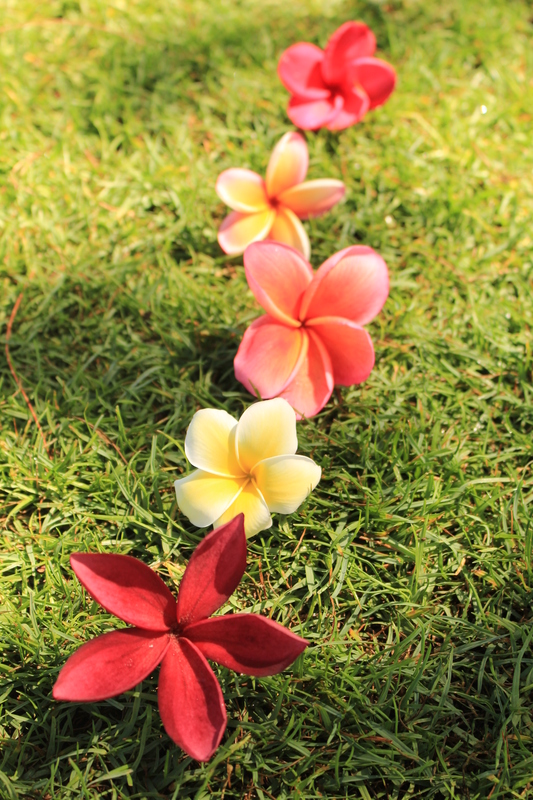 Those flower garlands symbolize love, affection and express the eternal love of the couple. 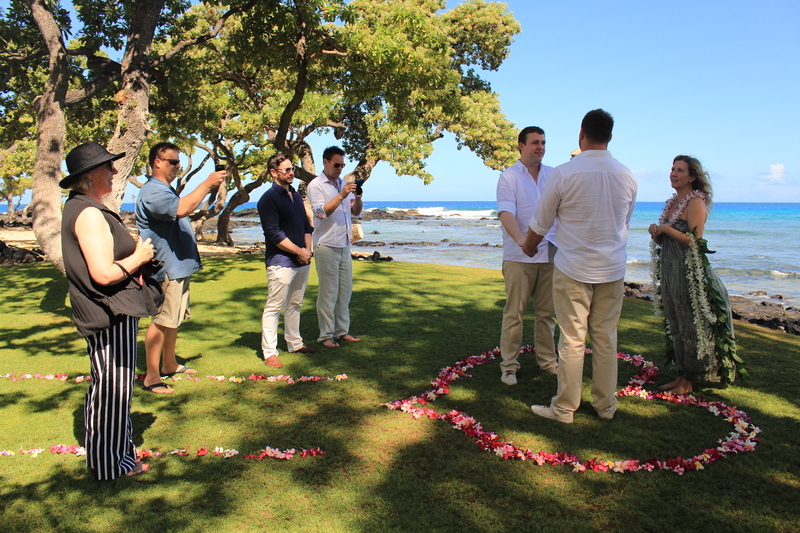 When exchanging the lei it is customary to the bride and groom to give one another a gentle kiss (we kiss early here in Hawaii!). Please describe a typical wedding day? 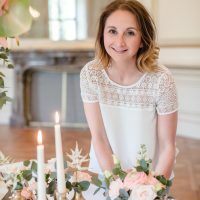 I try to meet up at the beach with my couples ahead of time at their wedding site, especially if they have flower decorations or any special set-up items, so that they can really choose the spot that feels right for them, and so I can have it all set up ahead of time the day of their wedding. If there is no set-up, and we haven’t met ahead of time, then the couple will arrive about 15 minutes early and we pick their spot together. 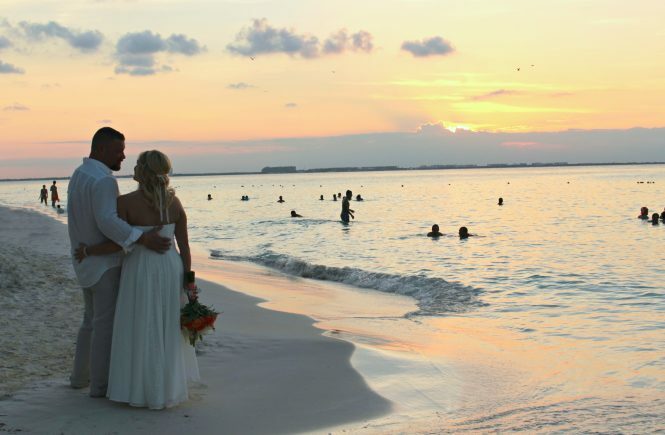 For me, having the couple choose their wedding spot on the beach is very important, since usually it’s a very intimate experience for the couple and the few people they may have present. 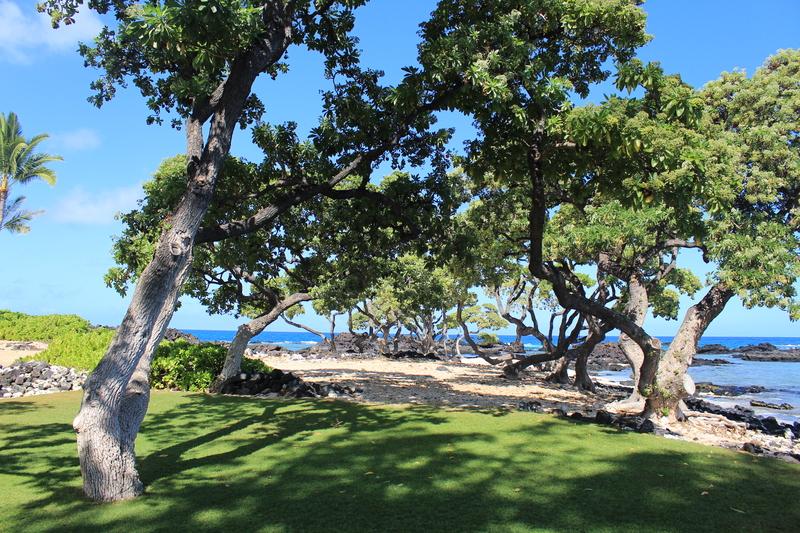 On the day of, I will set up any decorations, as well as arrange the site with their leis, a lava rock wrapped in a ti leaf, a koa wood bowl filled with ocean water for the ring blessing, and the conch shell (if I am using it for their ceremony). Since the weddings are usually very small, some couples enter together, some still do it the traditional way, where the groom awaits the bride at the wedding spot. I always customize the beginning for each couple, and then I guide the couple through their ceremony. These moments are very touching – for the couple as well as for me. Many couples exchange vows which they have prepared for each other. Then they exchange rings and kiss, and I pronounce them husband and wife. This is the moment when they are officially married. How does the reception look like? 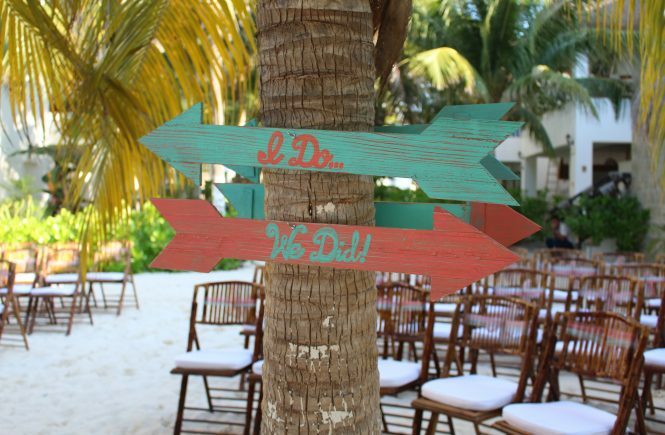 I typically only handle receptions for larger parties, where I am doing full planning and coordination (something I have begun to do more of), and receptions are typically off site from the wedding location, especially if done on the beach. Beaches have a lot of restrictions. Public beaches close at 8pm, and some 30 minutes after sunset, and typically do not allow receptions. There are also regulations concerning decoration. Mostly just flowers, fake candles and lanterns are allowed, and I have to pick up everything afterwards, including the flowers, which I usually give to the couples so they can bring them to their hotel rooms. Tell me about your most touching wedding. I remember this one wedding where the bride was pregnant. 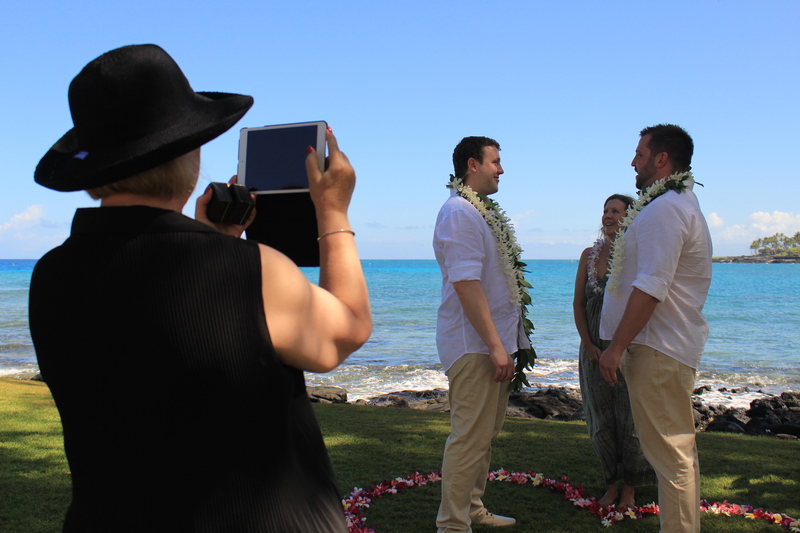 The couple wrote their own vows and while reading them, the groom was crying. He took so much time to carefully read them. Every word they said to each other was filled with such care and genuine emotion. I could see their entire life working out together. You could feel their success as a couple. Seeing them together was just beautiful. You published a book in early 2016. What is it about? Yes, it is correct. I published my first book: “REALing Him in – The Essential Guide to Manifesting Your Perfect Guy.” It gives hints on how to find Mr. Right in the form of a fun and interactive guidebook. It represents me, and what I learned during my own dating journey, and what I now share with my dating and relationship clients. I am happy I didn’t rush but took my time writing it. Actually, the writing took only a couple of weeks but the refining part was the important one. It took several months. I received valuable feedback from friends and am happy to share my knowledge about love and relationships with other women. What is the most important thing to you when planning a wedding? The most important thing is to make the couple feel good on their wedding day. I always say: “You cannot mess this up!” I am guiding my couple through the wedding and can’t afford to make a mistake. You are a key to their very special day. And customers will never forget you. I love making people happy. Becky, thank you for the interview!